1st. 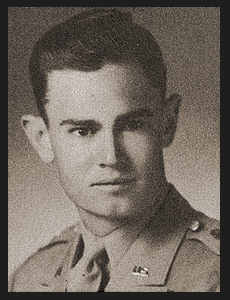 Lt. Claude D. Ferguson, Jr., son of Mr. and Mrs. C.D. Ferguson, graduated from Frederick High School, attended Cameron College. Entered Air Corps in Nov., 1942, trained in San Antonio, Brady, Texas, Frederick, Okla., Sedalia, Mo. ; served in England, France, Belgium, Holland, Germany, Austria. Awarded ETO Ribbon with four Battle Stars, Air Medal with Oak Leaf Cluster. Corrections provided by family: C D Ferguson graduated from Davidson High School and attended Frederick Jr College.